What if you could have it all? 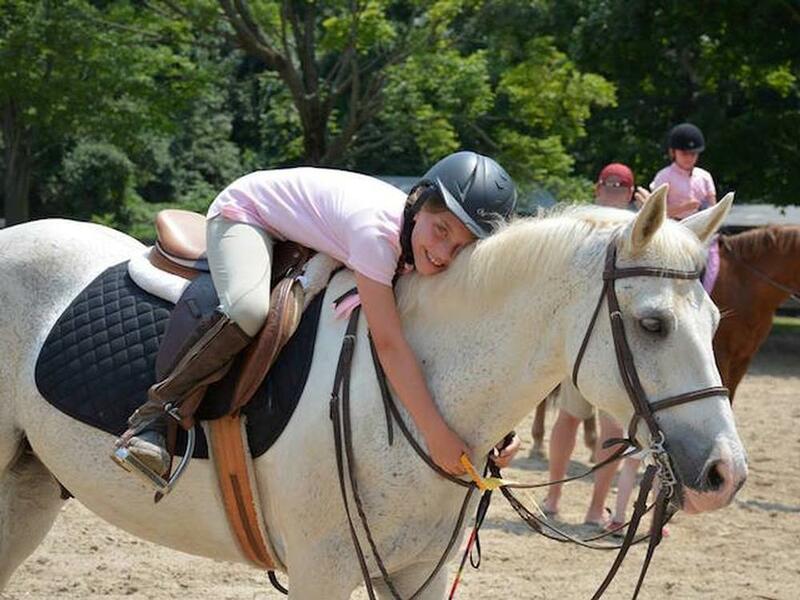 A Summer Day Camp with all its benefits for children plus an extensive horsemanship program to teach children to care for and interact with a living being as well as riding lessons all year long after school! 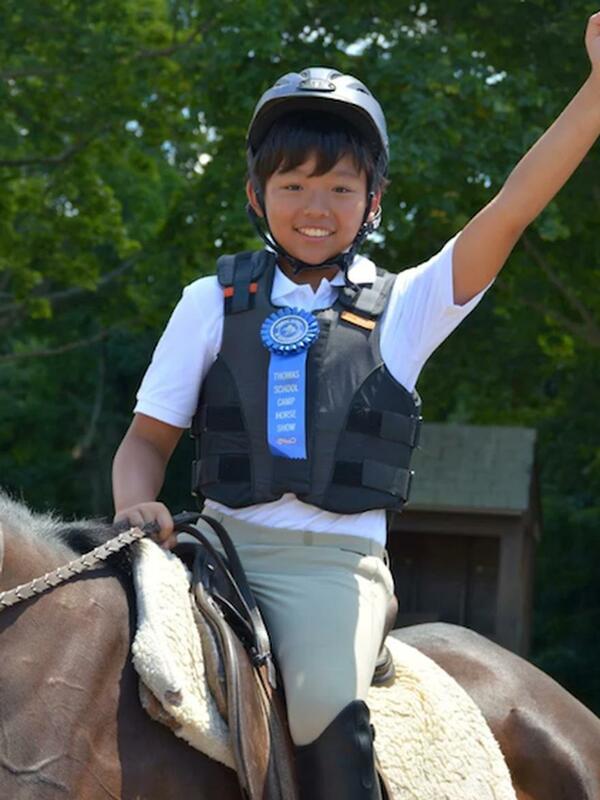 THOMAS SCHOOL OF HORSEMANSHIP SUMMER DAY CAMP is for boys and girls ages 3-15. 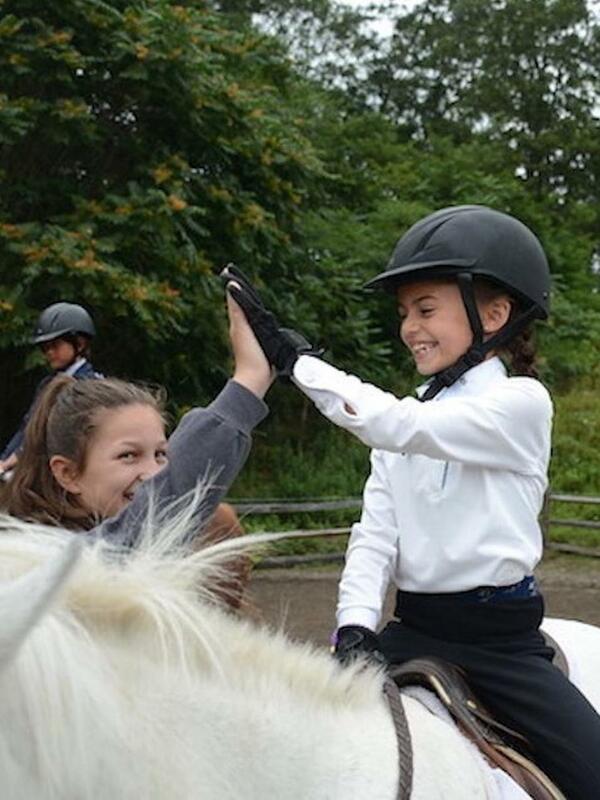 Our Summer Camp blends swimming, sports, STEM, arts, and special events with a full horseback riding program. We have bus transportation from most towns on Long Island. Our rustic facility encourages a connection with nature. Give your children a chance to experience the joys of wide open fields and wooded areas. 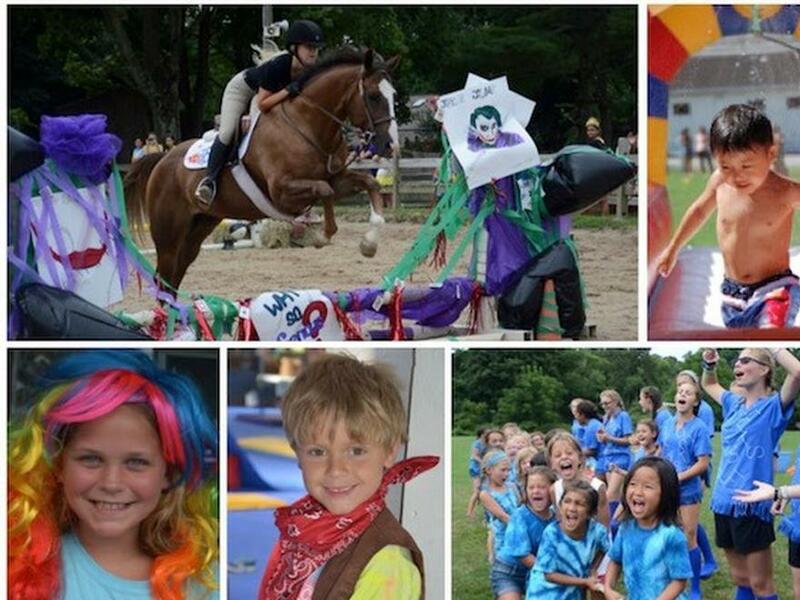 We are located on 22 beautiful acres, with 6 barns, 9 riding rings, 2 large pools, a playground, picnic areas for lunch, theater stages in the woods, a low ropes course, and a large indoor arena which becomes an indoor gymnasium during the summer. Camp gives kids the skills they need to thrive in the world. We expand the day camp experience exponentially with horses! Horses build confidence, responsibility, compassion and kindness. This combination allows us to give children a unique experience, which will help them thrive in the world! 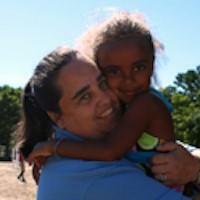 WHAT BENEFITS DO CHILDREN DERIVE FROM CAMP? Experiences that develop confidence ~ The ability to communicate ~ To work as a team ~ To take on responsibility ~ To be creative and innovative ~ To want to make the world a better place. THOMAS SCHOOL OF HORSEMANSHIP RIDING ACADEMY let's horses be a part of your life all year long! TSH Riding School offers lessons for all skill levels, from very beginner to those looking to compete in USEF Horse Shows. We have horses that are just right for each level of riders. Instructors are certified to ensure that safety is the first priority. Lessons are offered after school, on weekends, and mornings. Students of all riding levels are given a chance to take part in the full horse show experience at our fall and spring horse shows. School Horse Shows offer riders of all ages and skill levels a taste of the full horse show experience–a unique opportunity for our beginner riders. 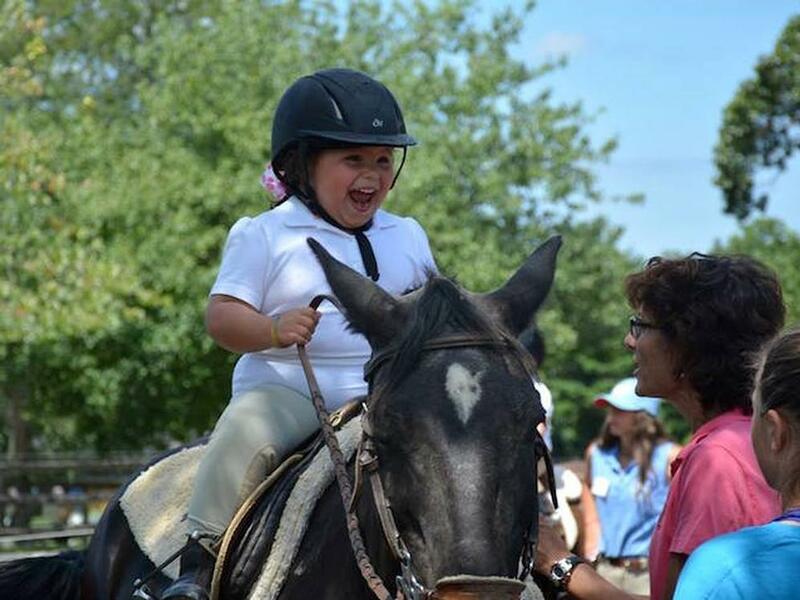 HOW DO HORSES BRING OUT THE BEST IN CHILDREN? Caring for a horse creates a sense of Responsibility ~ Interacting with a living being teaches Respect ~ Creating a bond with a kind, gentle creature shows Compassion ~ Being in control of an animal larger than yourself grants Confidence ~ And the shared love for horses builds Friendships that last. Janine Started as a camper in 1977. Having filled almost every position at camp (Jr. Camp Director, Sr. Camp Director, CIT Director, Horse Science Director, Jr. Camp Ride Director) and taking in consideration her boundless energy, creativity, and leadership skills this made her the natural choice for Camp Director as Nancy begins her retirement. Claudia has a degree in Physical Education, is originally from Argentina, and came here in 1997. Lucky for us, she now calls Thomas School her home. 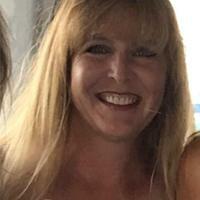 Claudia was so creative and well organized for all her years on the sports staff that she is now our Program Director. She schedules our day-to-day activities as well as organizing our Special Day schedules. Claudia met and married Mike Stewart, a past camp director at Thomas School, and their daughters Kayla and April are now campers. 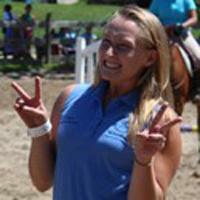 Caryn has been riding since the age of 6 and began teaching with us as an assistant instructor at the age of 14. She is now not only a show team instructor but a senior camp ride director, helping to manage the horses and instructors throughout the year. Her dual passions of music and horses make her a very sensitive and intuitive trainer and teacher. Caryn graduated with her B.M. 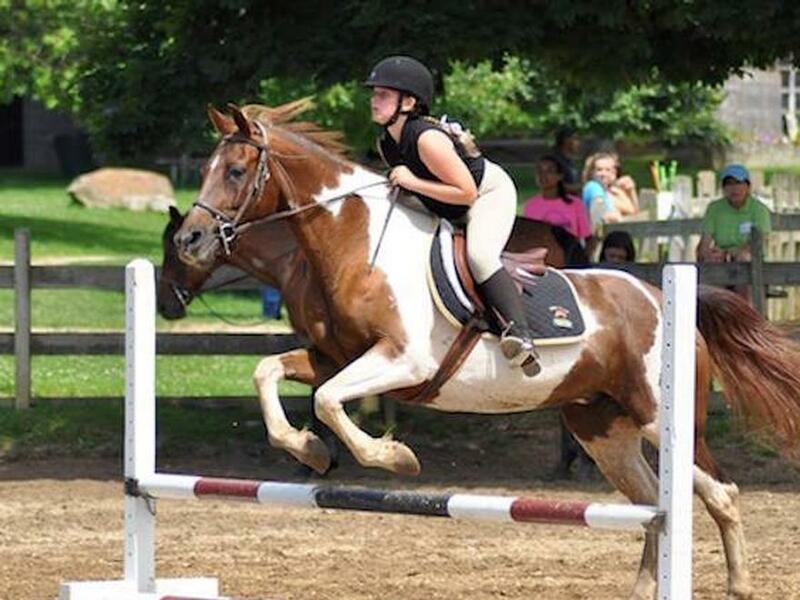 in Music Education in 2013 and now can be found teaching and riding the horses in between running her music lessons business across Long Island. TSH staff are here to teach, support, and help our campers to discover their inner talent, develop self-confidence, and flourish as unique individuals, help campers to try new things, find what they love to do, and point them in the right direction. All Ride Instructors are Horsemanship Safety Association Certified, and all Lifeguards must have current Red Cross Certification. Specialists, Counselors and Leaders are carefully screened and selected. They are enthusiastic, responsible and excellent role models. Our intensive Staff Training program, teaches staff important skills, such as conflict mediation and how to foster a supportive environment in their groups. Interacting with horses instills important virtues: daily riding instruction builds confidence, daily horse care lessons develop compassion, grooming and tacking the horses teaches responsibility. 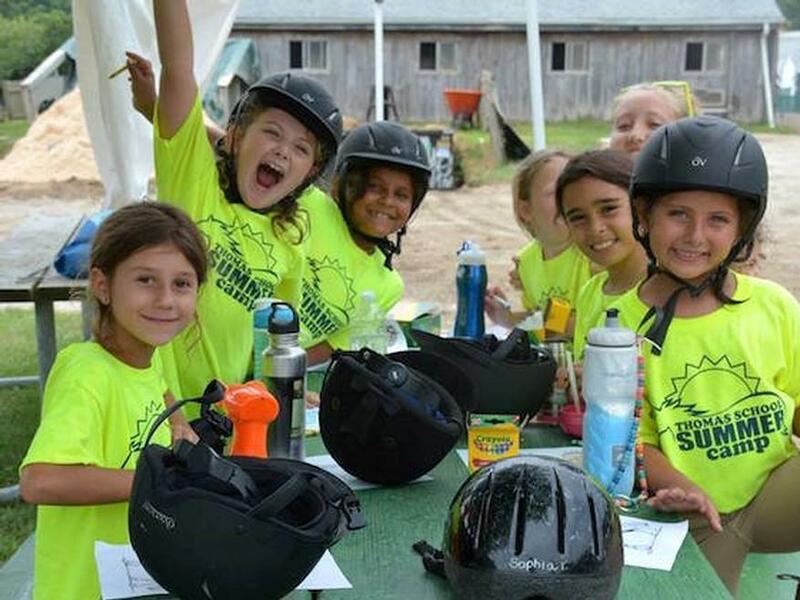 Although we offer a full day camp experience, our specialty has always been our complete riding program. Every camper enjoys a daily horseback riding lesson with one of our Horsemanship Safety Association Certified Instructors. We feel that true horsemanship includes more than the practice of riding well, it is also essential to have an understanding of these noble creatures, and the skills to care for them. Older campers have two horse-related periods a day in addition to their riding period, including horsemanship training, and a period to care for their ‘own’ horse. 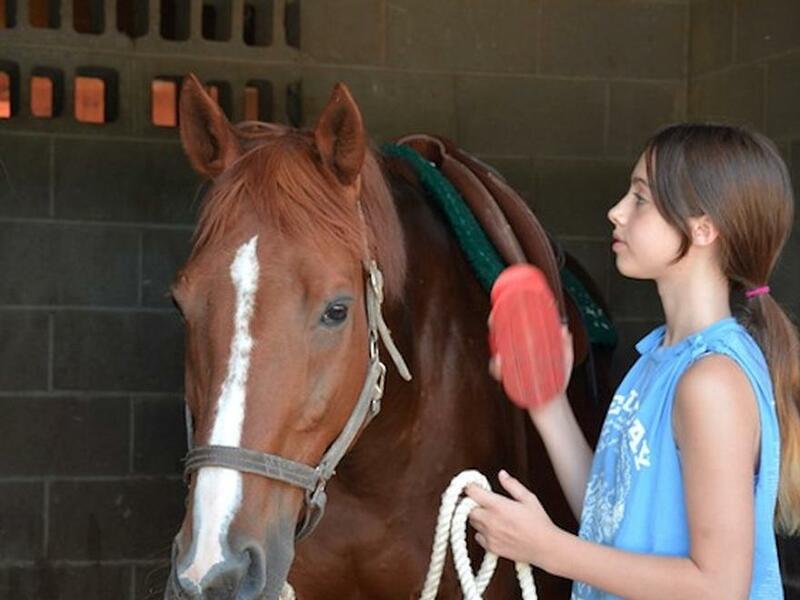 Younger campers are given daily lessons in the basics of horse care. Swimming is a lifelong skill that every child needs. We are dedicated to providing quality Red Cross lessons to create confident swimmers. Every child can become a confident swimmer with the support of a good teacher. 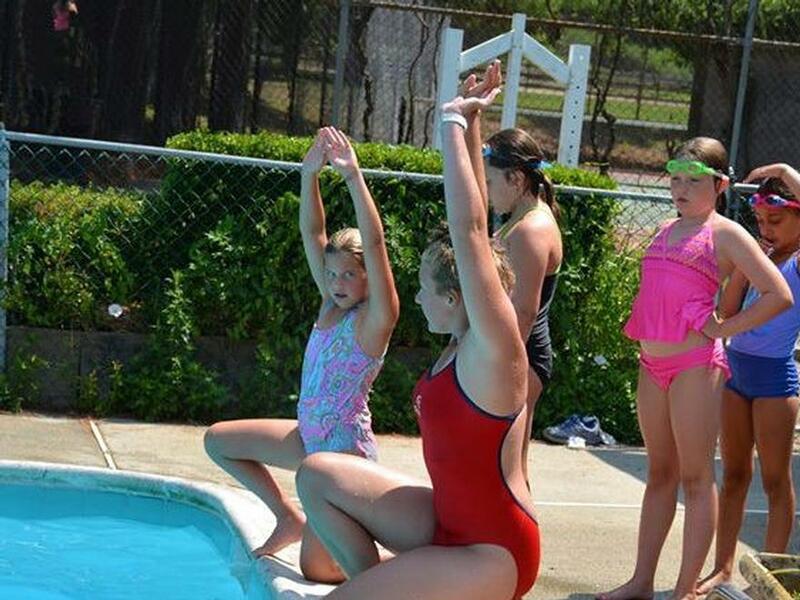 That’s why every single camper receives daily Red Cross Certified Swimming Lessons, tailored to fit their skill level, with one of our trained Red Cross Certified Lifeguards. Additionally, each camper enjoys a fun Free Swim period with pool toys and games, under the constant supervision of our pool staff. We also ensure that the children are familiar with our pool safety rules and procedures before they participate in Free Swim. STEM * Gymnastics * Dance * Drama * Tennis * Archery * Soccer * Lacrosse * Hockey * Touch Football * Basketball * Softball * Kickball * Volleyball * Badminton * Ping Pong * Arts and Crafts * Capture the Flag * Martial Arts * Circus Tricks and More! Older campers personalize their camp experience through electives, chosen each week for variety, and a club is chosen each session for a more intensive learning experience. 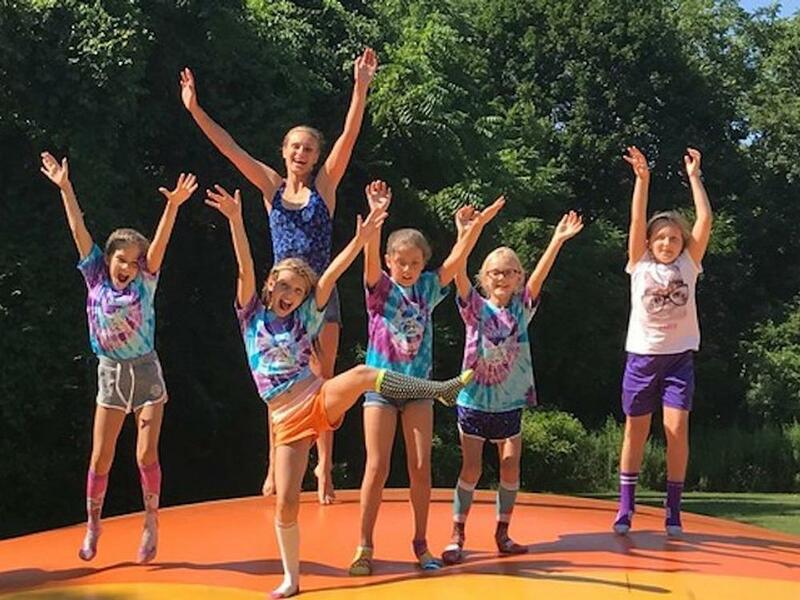 In our gymnasium or on the outdoor stage, campers learn Gymnastics and Dance, take part in fun & exciting improvisational games, or rehearse for spectacular Drama performances. Our drama specialist organizes great shows for Parent’s Day so you can see all your child has learned! Our Arts and Crafts specialists always have fun creative projects for your campers, and you can see their works of art on display at the Parent’s Day Art Show. SPECIAL DAYS THE HIGHLIGHT OF EACH WEEK AT CAMP! Campers and Staff alike participate in the fun with costumes, face paint, special games, sportsmanship and team spirit! Special Days often bring new and thrilling amusements to camp, like water slides, bounce castles, staff dunk tanks, and more. Sometimes our campers get to watch awesome demonstrations, past shows include: Rodeo-style Barrel Racing, Medieval Times-style Jousting, Horseback Dressage Demonstrations, and the always entertaining Staff Horse Shows. 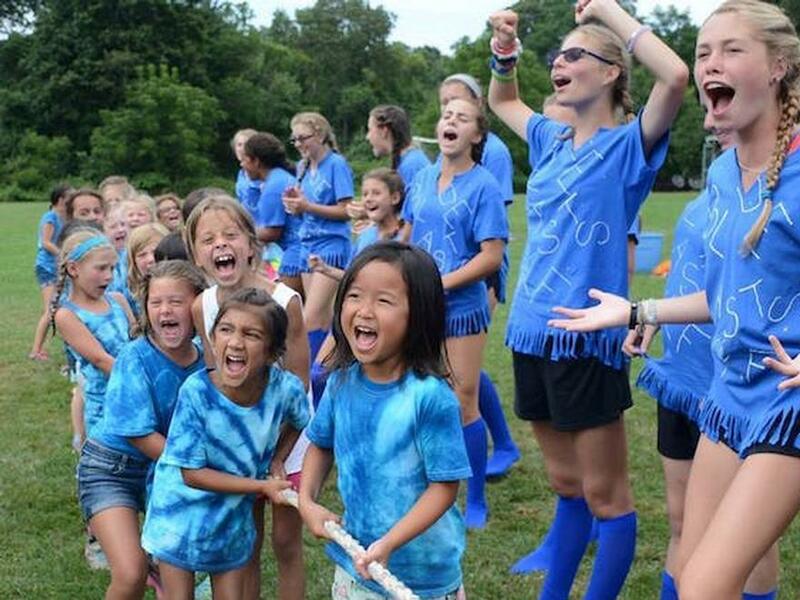 A few favorites have become tradition: ‘Crazy Hair/Hat Day,’ ‘Water Fun Day,’ and our long-standing tradition, ‘Blue and Gold Day!’ Campers can never be sure what to expect on a Special Day, because everything changes for the theme. When special days include friendly competition and team spirit, our campers are always awarded extra points for good sportsmanship and teamwork. Special days also mean off-site trips for our Teens. TRANSPORTATION AND LUNCH OFFERED DAILY AT TSH CAMP! Skip the brown bags & let us take care of lunch with our full service lunch program. Daily choice of meal (salads, sandwiches, pizza, pasta - just to name a few), snack & drink. Easy online ordering! "Meet the Bus" - Round Trip transportation option available in most areas. 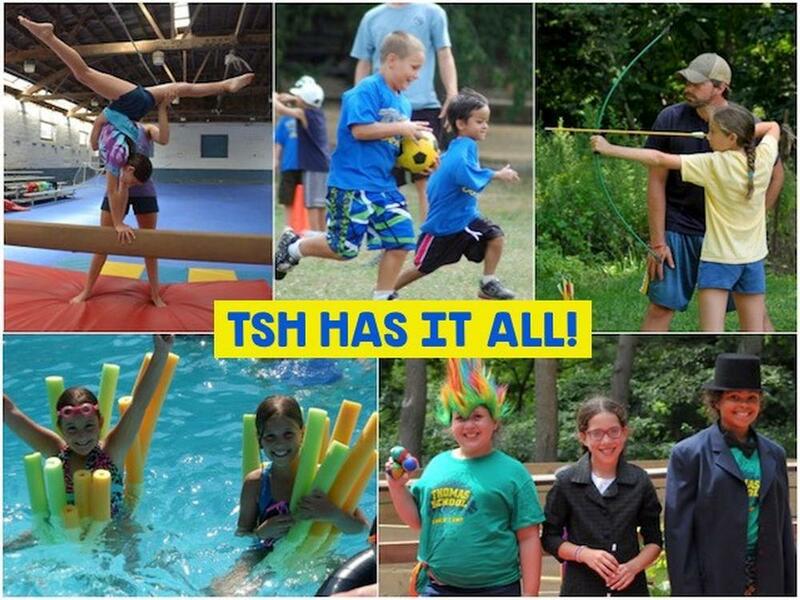 At TSH Children from 3 years to 15 years old experience: Swimming, STEM, Sports & Arts, PLUS a Full Riding Program. Check out what’s available for your child’s age group. 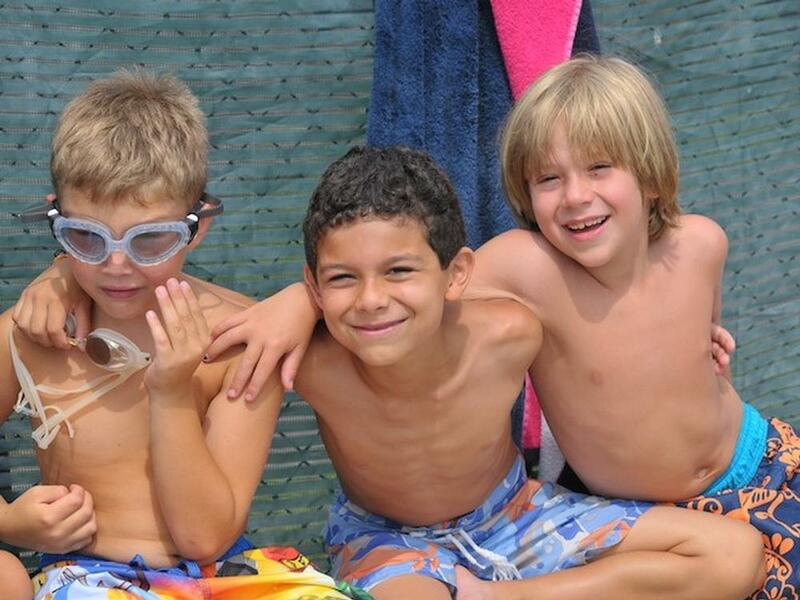 Our various day camp programs are designed to be age-appropriate. The day is divided in periods of 45 minutes each. We start at 9:30 and end at 4:30. Our Early Starters experience all the activities Thomas School has to offer, but with the extra attention and gentle care they need. We have many horses that have spent their entire lives teaching children to ride, and they are perfect beginner horses for our 3 and 4 year olds. Our swim staff takes pride in helping the little ones become comfortable and confident in the water. It is amazing to see the progress that these young campers make in just one summer. Let horses be a part of your life all year long! Children and Adults alike can take once weekly lessons, or spend several days a week at the barn. Our Long Island Riding School offers lessons for all skill levels, from very beginner to those looking to compete in USEF Horse Shows. Most students ride once a week. Some supplement their ride instruction with an additional private lesson each week. Some volunteer to earn extra riding time, for more info on that program please see “Earn Free Riding Time.” Some choose to lease a horse and ride 3 to 6 times a week, and some compete in our USEF Recognized Horse Show Series. Our School Horse Shows offer riders of all ages and skill levels a taste of the full horse show experience ~ a truly unique opportunity for our beginner riders. 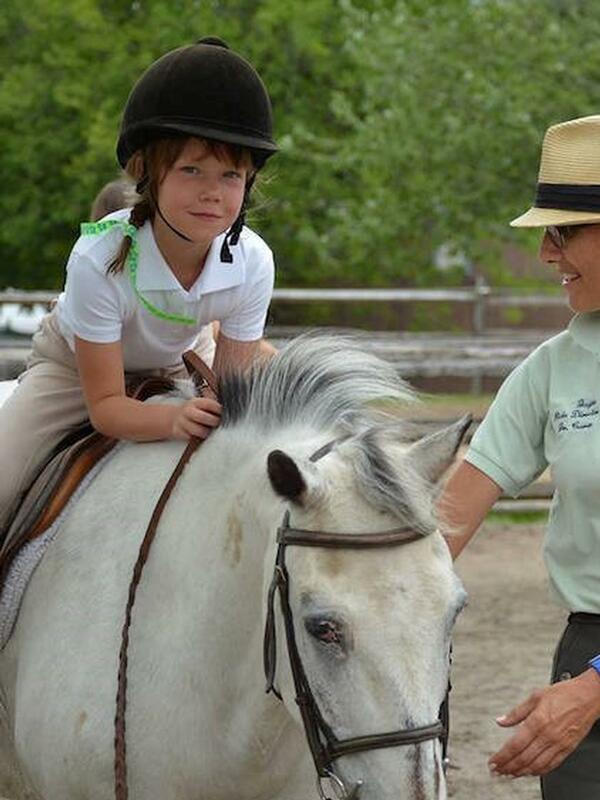 Year Round Lessons run from September through June, and are available to riders age 9 to Adult. Our instructors are certified by the Horsemanship Safety Association. TSH horseback riding lessons are designed to fit your schedule, they are offered after school, on weekends, and mornings. Full year lessons generally include 38 Lessons at 1 hour each, but we also offer a Sunday Series of 30 Lessons at 1 hour each. See application for tuition rates, applications are due by August 1st. However you may call at any time, if we have room you can join a class at any time during the year. Students earn free riding time by assisting in lessons with younger students. We expect our students to treat this responsibility as a job which earns them not only free riding time, but also the personal satisfaction that comes from helping others. Our Show Team program is geared toward students who are interested in competing successfully at recognized A, B, and C rated Horse Shows. Our experienced trainers will coach you at the horse shows, and if you choose to buy or lease a horse, our trainers will assist in finding the right one for you. They will also provide a training schedule, and assist in the training process. We host two school horse shows a year, one in the Fall, and one in Spring, which are limited to Thomas School students. Students of all riding levels are given a chance to take part in the full horse show experience. EQUINE STUDIES PROGRAM SCHOOL HOLIDAY BREAK CAMPS! 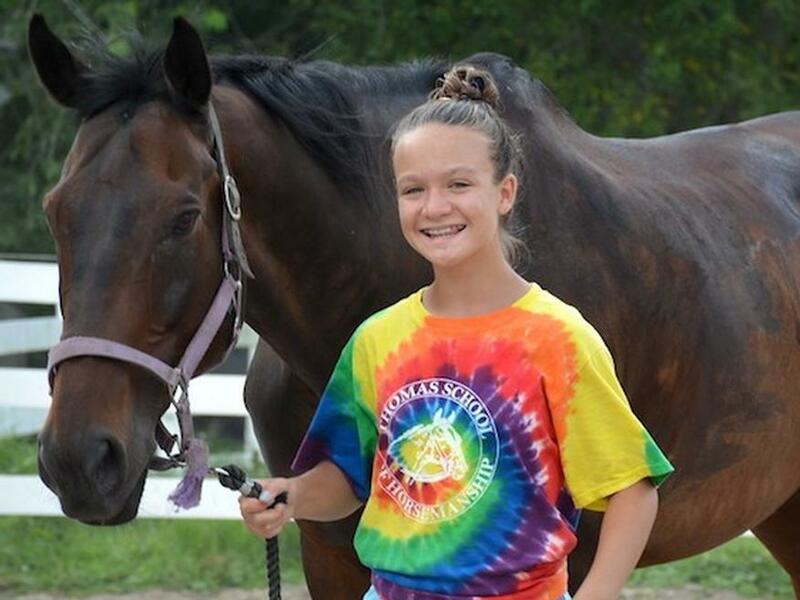 Our Equine Studies Camp Programs are run during school vacations. Each camper has their own horse for the program to ride twice a day, and to care for, as they learn about the full range of horsemanship.